In the vein of Miranda July and Lauren Holmes, Nadja Spiegel curiously pokes at the emotional side of living in her debut collection of stories, Sometimes I Lie and Sometimes I Don’t. Most of the stories in this collection don’t have much of a plot, rather choosing to spend it’s time weaving in and out of sharing observations and exploring relationships between family, friends, lovers, and acquaintances. If you were drawn to the experimental style of Jenny Offil’s Dept. 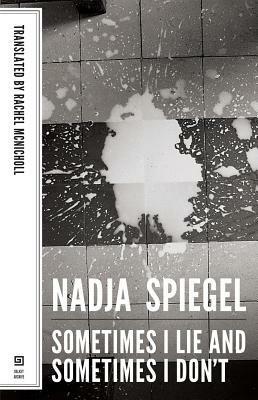 of Speculation, Spiegel’s suave ability of playing with structure and narration will be an extra treat.